Departure was at Tony's Place shortly before 0830 Hr. We biked towards the Elephant Kraal and continued east towards Nakhon Luang following the right bank of the Pa Sak River. First stop after an hour ride was made at Wat Kaeo. We also halted at Wat Roi Rai to visit the new vihara in construction. We continued to Tha Ruea where we arrived around 1100 Hr. Here we took a tea break before heading to Wat Sathue Phuttha Saiyat to visit the reclining Buddha in that temple. We took our lunch at the market on the temple premises. After lunch we returned to Ayutthaya crossing the Pa Sak River and following its left bank. We made a quick stop at Wat Tamnak Phra Jao Songtham to visit the ruin over there, but we could not identify it. A monk told us that the brick remains were leveled and not visible anymore. We jumped our horses and biked down to Ayutthaya. On the way we took a break once to consume an ice cream and another time to pump up the tires. We arrived at Tony's Place around 1520 Hr. 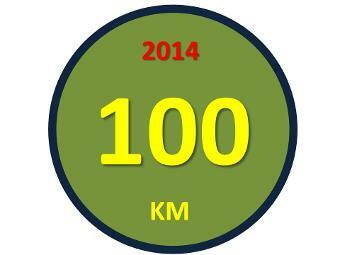 We passed the 100 Km distance limit. The weather was sunny and hot. Maximum temperature was around 28 C (Humidex: 33 C) with a S wind of 5 Km/Hr. Humidity was 84 % (Source: VTBD). Technical data of the trip was as follows: Total Distance: 102.37 Km; Moving Average: 20.7 Km/Hr; Overall Average: 14.8 Km/Hr; Maximum Speed: 34.4 Km/Hr; Moving time: 4 Hr 56 Min; Stopped Time: 1 Hr 59 Min; Total Time: 6 Hr 55 Min.